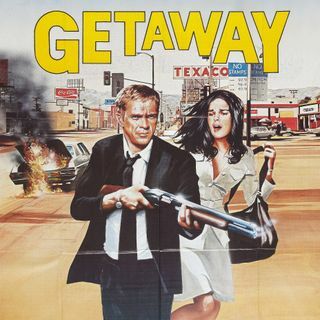 #Noirvember2018 kicks off with the 1972 film from director Sam Peckinpah, The Getaway. Based on the novel by Jim Thompson and adapted by Walter Hill, the film stars Steve McQueen as Doc McCoy and Ali MacGraw as Carol McCoy, two young lovers with nothing better to do than rob a bank with the duplicitous Rudy Butler and the barely-a-character Jack Dodson. Let’s just say that things don’t go as well as they should. Maitland McDonagh and Aaron Carruthers join Mike to discuss the 1972 film, the ... See More 1994 remake with Alec Baldwin, Kim Bassinger, Michael Madsen, and Phil(!) Hoffman as well as Thompson's original book.